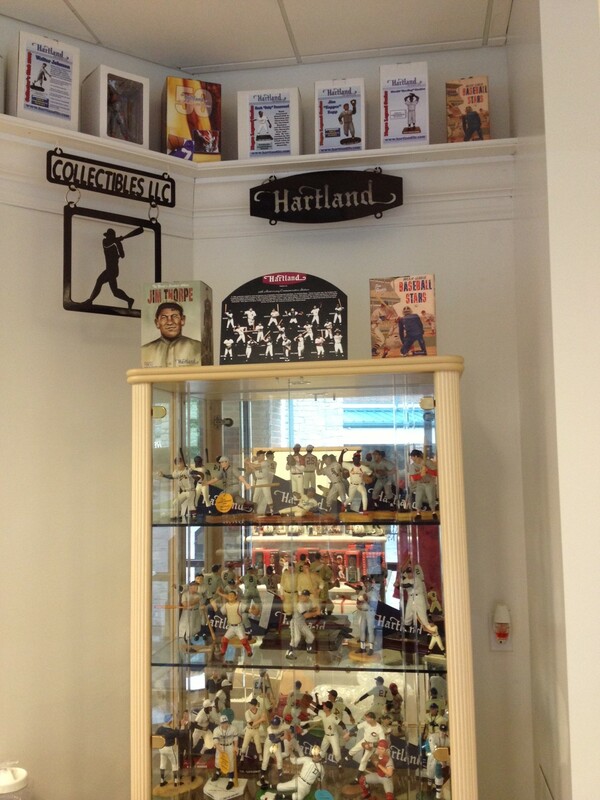 The storied history of the Harland company has been well-documented and their contributions to the sports memorabilia market continues. Currently operating as Hartland LLC, they have been producing limited edition figures since the late-1940's. The company recently announced the relocation of its manufacturing facility and corporate headquarters to Fairfield, OH, near Cincinnati. Collectors will have the opportunity to witness the history of the company and its legendary figure line in the new Hartland Museum, when it opens later this month. 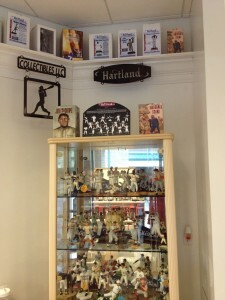 The facility is also home to the Queen City Sports Cards & Memorabilia store. In addition, Hartland LLC, announced that a new division within the company has been formed, called Hartland Auctions. The auction side of the business will specialize in conducting auctions of original Hartland figures, accessories, and vintage hang tags. These hang tags are a crucial component of the original Hartland figures and are often missing from current pieces. Collectors whose figures are missing the tag(s) and are wanting to insure an increase in value of their original figures, will now have the opportunity to acquire these rare originals. The first of several planned auctions is set to kick-off before the end of the year with a specific date still to be determined. Collectors interested in learning more about the historic Hartland Company can do so by reading this detailed figure guide and included checklist. NY Yankees Mickey Mantle and Yogi Bera w mask, Hartland statue set from 1960. HARTLAND CUSTOM FIGURE BASEBALL BAT Small ! ! ! Great story. Glad to see them back in the market and hope everyone realizes how long they have been around..